The judges have made their decision: the 20 best photos have been chosen from the entries submitted by 31 May. Choosing the winners was a difficult task as there were many great photos representing different aspects of FAU and student life. 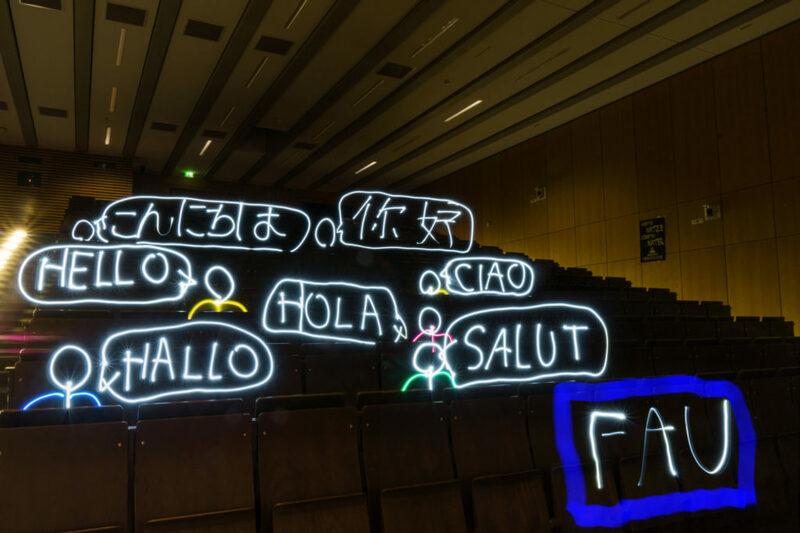 Take a look at the student blog meineFAU to see all the winning entries. The best photographs won vouchers for the FAU Shop or the university cafeterias and will also be displayed around the University. The pictures are already on show in the southern cafeteria (Südmensa) and will also soon be on display at Werksgärtla and Mensa Insel Schütt. The images will also be included in a collage on a new FAU notepad that will be available from the FAU Shop. The judging panel was made up of one FAU student, two members of FAU staff and one photographer. More details about the judges are available on the student blog meineFAU. 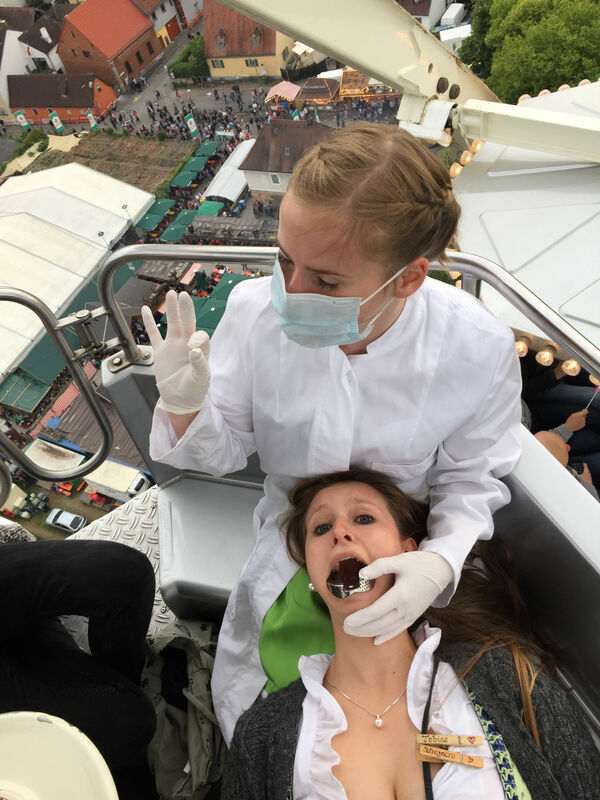 Third place: ‘Erlangen – Zahnmedizin studieren mit Aussicht’ (Erlangen – studying dentistry with a view) by Carolin Kirschner. 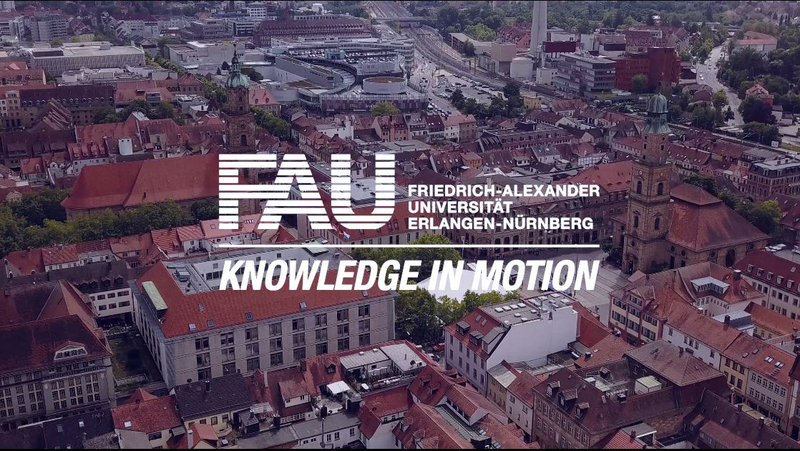 Here FAU stands for ‘Freunde’ (friends), ‘Arzt’ (doctor) and ‘Unvergleichbar’ (incomparable). All of the other entries can be found on the student blog meineFAU.